Siddaramaiah joined the bandwagon on Sunday reminding Nirmala Sitharaman that she has responsibilities towards the state that elected her to the Upper House. 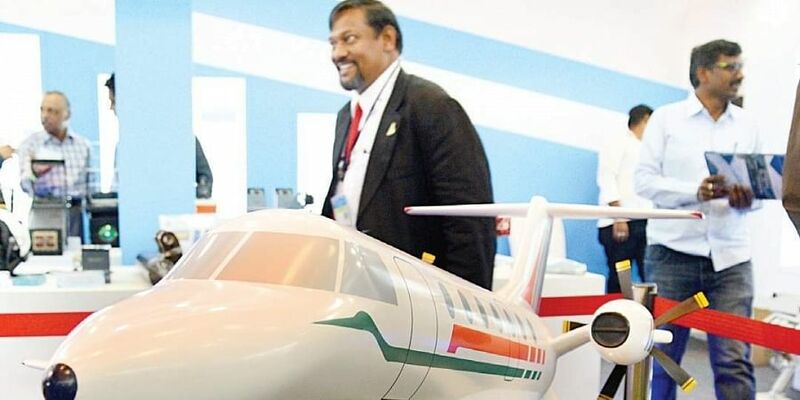 BENGALURU: With hints to move Aero India show out of Bengaluru becoming stronger and after coming under constant attack by the Congress, BJP MPs from Karnataka have decided to fight to retain it in Bengaluru. Two Union ministers from Bengaluru and MPs including P C Mohan and Rajeev Chandrashekhar will write to Defence Minister Nirmala Sitharaman asking her to retain the grand air show in Bengaluru. A day after Uttar Pradesh Chief Minister Yogi Adityanath raised a request to host the show in his home state, Congress leaders from Karnataka have been continuously attacking the BJP at the Centre as well as MPs and Union ministers from Karnataka of being unfair to the state. “We held a meeting with Ananth Kumar this morning (Sunday) and have decided to write to the defence minister. Ananth Kumar will also meet Nirmala Sitharaman to request that Bengaluru be allowed to host the aero show. We will definitely put pressure on the minister,” Mohan told The New Indian Express. While KPCC chief Dinesh Gundu Rao and Deputy Chief Minister Dr G Parameshwara have been attacking the BJP ever since The New Indian Express’ report on plans to shift Aero India, former chief minister Siddaramaiah joined the bandwagon on Sunday reminding Nirmala Sitharaman that she has responsibilities towards the state that elected her to the Upper House. “Reports of shifting #AeroIndia, from #NammaBengaluru which has the necessary infrastructure, will deepen the wound caused by the recent exit of many defence projects under @BJP4India. The exit of #Rafael project from HAL is still in the memory of people of Ktaka. We urge Ms. @nsitharaman, who is elected to Rajya Sabha from Ktaka, to first safeguard the interests of this land but neglecting will be an act of betrayal. @INCKarnataka @INCIndia (sic),” tweeted Siddaramaiah. “Looks like BJP MPs have lost their spine when it comes to protecting our state’s interest,” Priyank Kharge, Minister for Social Welfare, tweeted on Saturday. “We have two Union ministers from here who are serious about taking this matter up. The Union government has done a lot for Karnataka and Bengaluru in particular including Metro and the Sub Urban rail. We are sad that we may lose Aero India but that doesn’t mean the party hasn’t done anything at all for Karnataka,” MP P C Mohan said. Congress issues threat and requests simultaneously on the same issue. While in Bengaluru, I could never visit to the exhibition area, which was reserved for those with 'VIP' passes and had to make do with the general visitor tickets (literally sitting on the ground close to the runway fence given the price paid for it). In contrast, the VIP seats would be usually empty (VIP guys busy asking for passes but don't turn up on the day). If the show is retained in Bengaluru, can we make it different this for the non-VIP people?